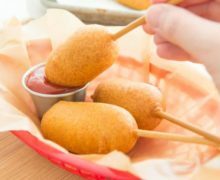 Homemade Corn Dogs - 15 minute recipe with batter from scratch! 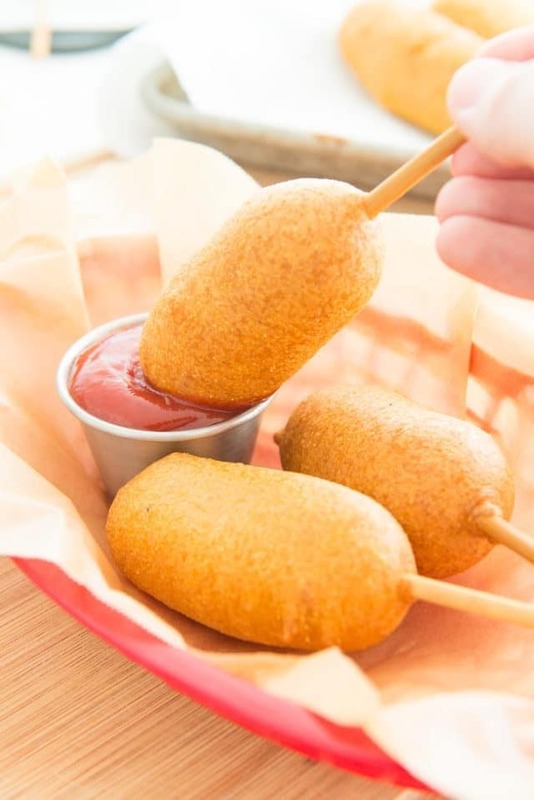 This Corn Dog Recipe is a classic fair treat that’s easy to make at home! Mix together a quick cornmeal batter, dip the hot dogs, and fry for a few minutes until golden brown. It’s amazing how much of a role nostalgia plays with food, isn’t it? When I make these homemade corn dogs, all I think about is how much I have always loved gnawing the extra little bit of cornbread batter off the bottom of the stick, and I’ve done it ever since I was a kid. 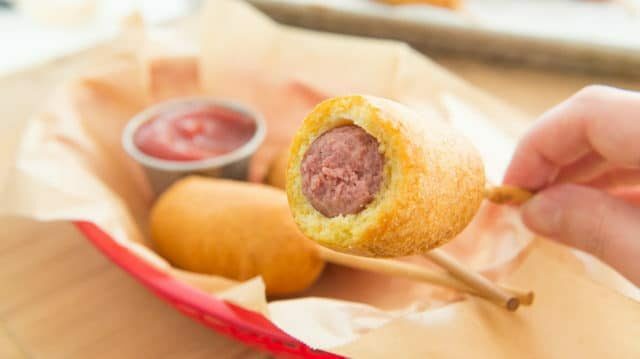 Because corn dogs are really about the cornbread batter, if you ask me. There’s also Homemade Soft Pretzels which remind me so much of the pretzel kiosks at the mall (but so much better homemade), or Homemade Fruit Rollups like the ones I devoured as a child, but made with better ingredients. If you’ve never made homemade corn dogs before, I think you’ll be surprised by how easy it is. The cornbread batter takes less than 5 minutes to mix together, and then you just have to dip some hot dogs in the batter and fry for a few minutes until golden. 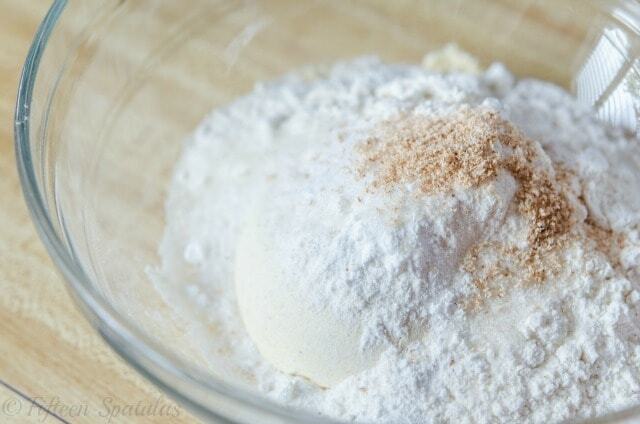 Mix the dry ingredients with buttermilk and eggs, and stir until the flour disappears. It’s okay to leave some lumps in there, as you want to keep from overmixing. 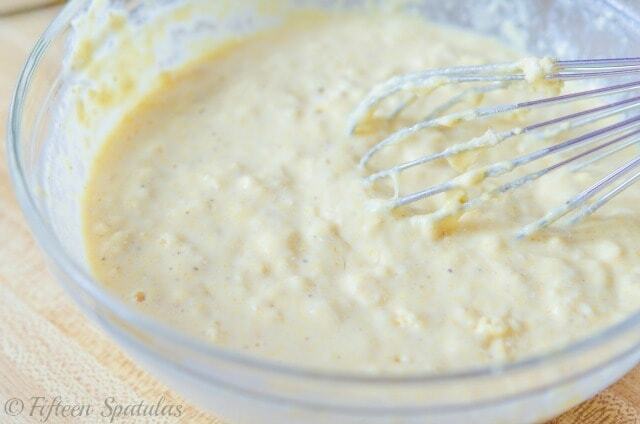 Transfer the cornbread batter to a tall glass and dip the floured hot dogs into the batter, coating it all over. 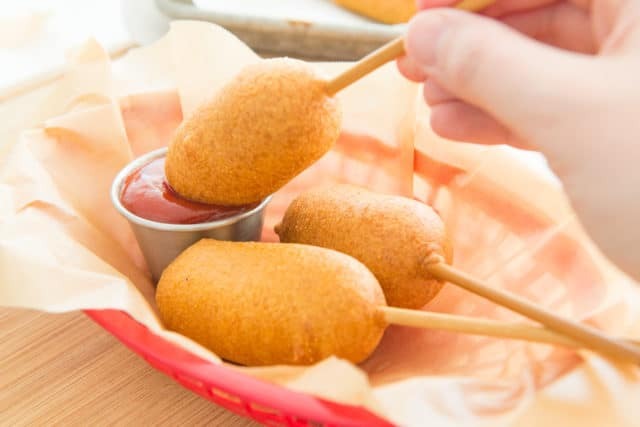 Fry the corn dogs at 350 degrees F for 3 minutes and serve alongside your favorite ketchup or mustard! These would also be fun to make for football watching or game day, along with these Baked Chicken Wings, Buffalo Garlic Knots, and Stuffed Mushrooms. Enjoy! 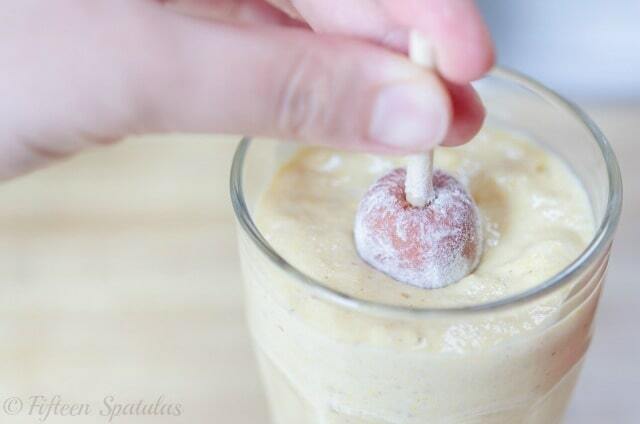 Can you freeze homemade corn dogs? Yes, just let them cool completely and store in an airtight bag or container for up to two months. How to reheat corn dogs: Bake in a 300F oven to re-warm, about 15 minutes from a frozen state, or 10 minutes if they’ve been thawed. Preheat the fryer to 350 degrees F.
To make the batter, whisk to combine the cornmeal, flour, baking powder, baking soda, sugar, salt, and nutmeg. 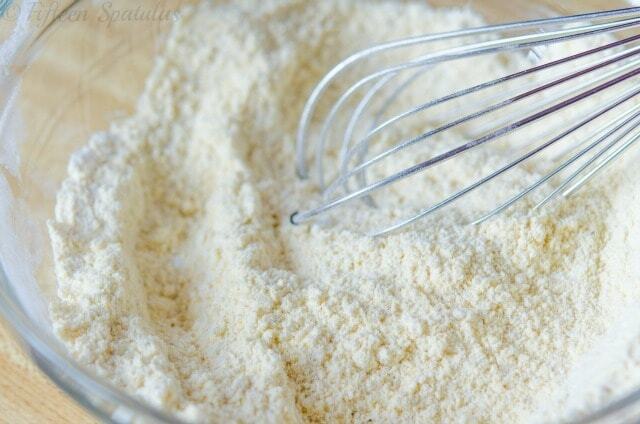 In another small bowl, whisk to combine the buttermilk and eggs, and mix this into the dry ingredients until there are no more streaks of flour, but be sure to leave lumps in the batter (do not stir those out, as you may overmix). Transfer the batter to a tall glass. 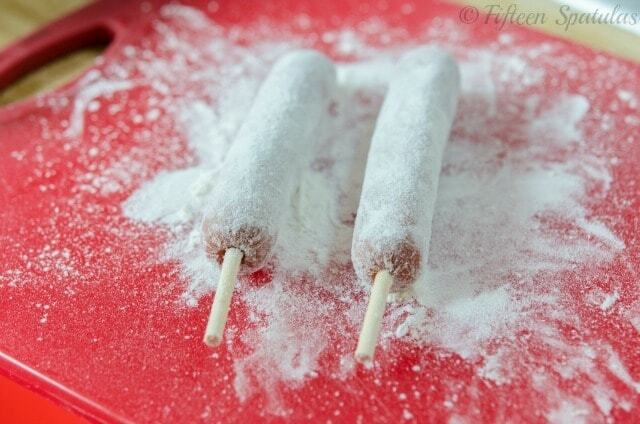 Skewer the hot dogs onto wooden sticks and roll the hot dogs in enough flour to coat, then shake the excess off. Dip the floured hot dogs into the tall cup of batter and put them straight into the fryer for about 3 minutes, but be sure not to overcrowd your fryer. Depending on size, you might need to make two or three batches. The corn dogs are ready when the exterior is golden brown. Serve the corn dogs with ketchup and mustard if desired, and enjoy! Recipe adapted from Cook's Country. Updated with new photos and writing in June 2018. Originally published in 2013. What would happen if i leave out the nutmeg? It will turn out fine, feel free to omit it. I want to make them a little spicy should I use cayanne pepper? Yes, feel free to add whatever spices you’d like! Hi there! I’m excited to make these for my movie night themed party! 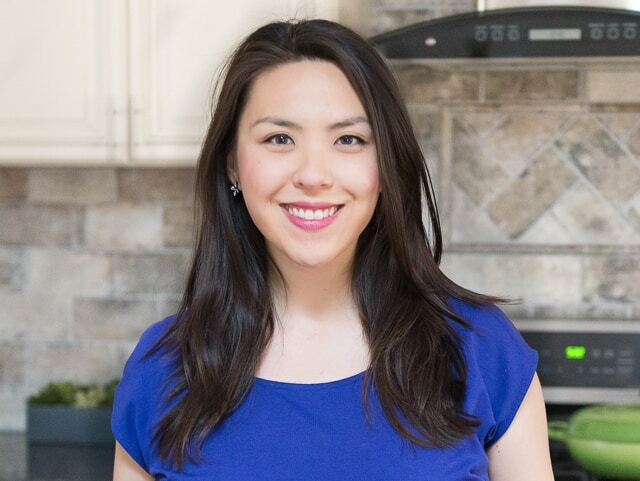 I was wondering if I could substitute the buttermilk for regular milk in this recipe because I’m also making your “Two-bite Mac and Cheese Cups” for the party and that recipe calls for regular milk? Hi Liz, that should be fine. In this case, you could even do the substitution trick where you add a teaspoon of vinegar or lemon juice for acidity. Enjoy! How do you keep your corn dogs round? The moment I start to fry it it goes flat. I hold each corn dog in the oil for a few seconds to set the outside, then drop them in, one at a time. Were you doing that? Too salty/baking powdery & not sweet enough. Not my favorite recipe.